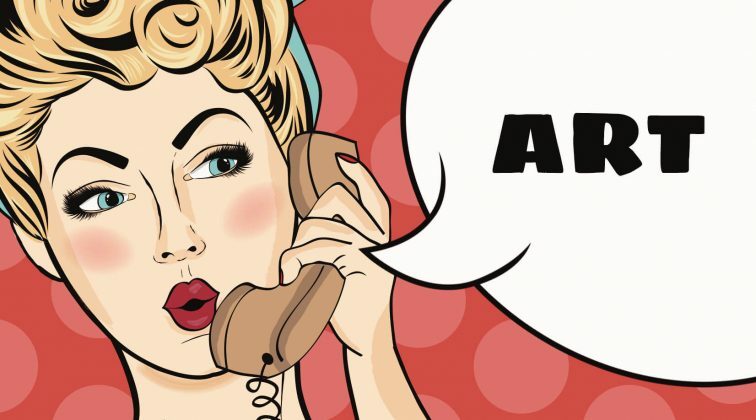 Can a cartoon logo be your most valuable brand asset? As you know, creating a strong positive first impression is not important only for people when they meet for the first time. It is also a top priority for any newly established brand. It’s not debatable at all that every company that has just emerged on the market wants to quickly make a name for itself. Well, there is no shortcut for this kind of success, nor a secret recipe but creating a unique and catchy logo, which people will easily remember, is certainly a place to start. There is no right or wrong way to create a memorable logo, there are just different approaches. 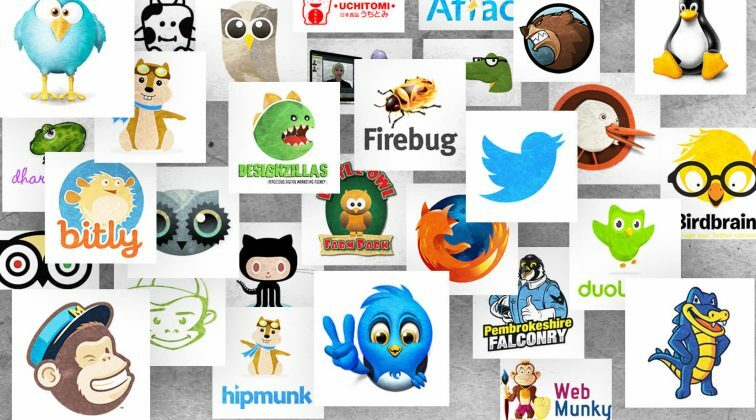 In this article, we’ll focus on one unusual technique that delivers extraordinary results: combining your logo with a cartoon character design! Check out 50 examples of all kinds of brands that went down this road and ended up with some super awesome cartoon logos. Enjoy! 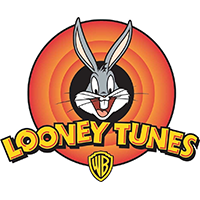 Starting out with our favorite and famous Bugs Bunny character who appears on the Looney Tunes logo design more often than any other character of their arsenal. Quite catchy, isn’t he? 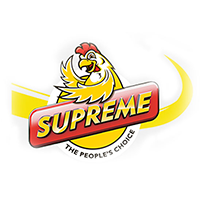 This brand went for a quite appealing logo, designed in the most attention-grabbing colors: red and yellow, and including a happy hen character who appears to give a thumb up! 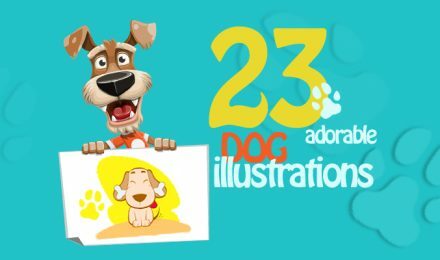 Dogs characters are a quite popular choice for cartoon logos and why wouldn’t they be. Apparently, the designers of this one took advantage of dogs being considered as “man’s best friend” and made this fella look super friendly and ready to help. A yellow duck always evokes positive connotations, especially when combined with some water! 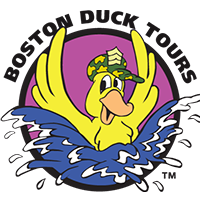 Well, apparently Boston Duck Tours are well aware of this fact, since this is exactly what they have depicted in their cartoon logo. 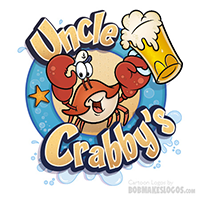 Uncle Crabby’s cartoon logo was designed with some awesome sea motives, so going for a cute crab character wearing a captain cat was the perfect choice for a character to complement their overall logo design. 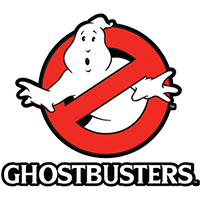 Another famous logo: the Ghostbusters’ famous ghost character captured in a sign forbidding ghosts. This iconic logo was actually created by one of the film’s producers. This fast food restaurant went for a super tasty-looking cartoon logo featuring a sandwich character. Not only does the sandwich represents the actual food but he is designed licking his mouth depicting how delicious it is. 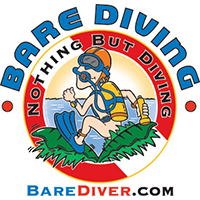 A little bit of unconventional cartoon logo, depicting a naked guy wearing a diving equipment. The designers somehow made it fun and acceptable while still depicting the idea of “nothing but diving”. Well done! Well, that’s a unique character design, for sure! 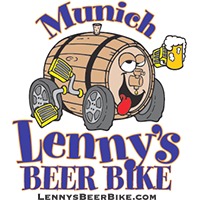 Lenny’s Beer Bike went for a funny cartoon logo containing a beer keg character on wheels with a cute face and drinking a beer. 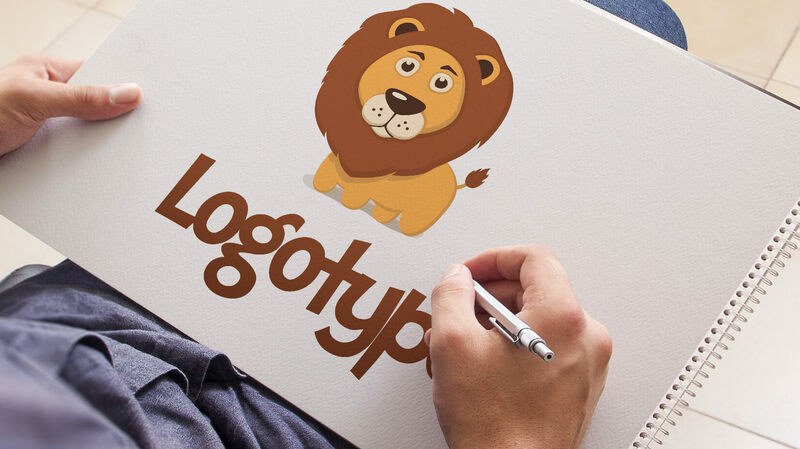 Here is an example of a brand which literally transformed their name into a logo illustration. 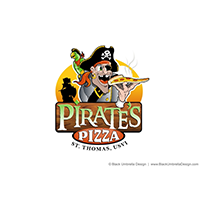 Pirate’s pizza went for a pirate cartoon character holding a steaming piece of pizza in his hand. What a mouth-watering logo! A cow superhero character? 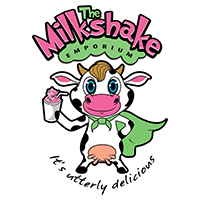 Why not if it is a part of a cartoon logo for a milkshake company, giving the impression that these milkshakes are simply superb. 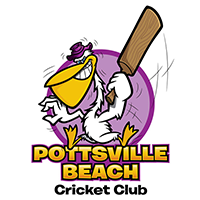 Here comes the cartoon logo of a cricket club who decided to leave the boring stuff behind and pick a badass pelican character holding an emblematic cricket bat. Cool! 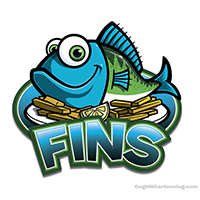 This fish restaurant went for a cartoon logo depicting a cute blue fish character on a plate surrounded by some french fries and a lemon. Cute and mouth-watering, right! 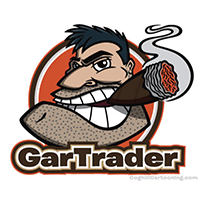 Using a smiling cartoon character is always a great way to upgrade the look of your logo. 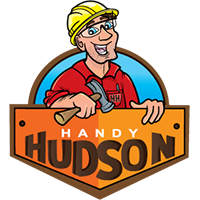 Handy Hudson is just the right example. They used a good-looking carpenter with a hammer to make their logo unique. 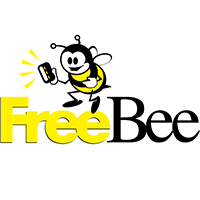 Just like the name of the brand suggests, this company went for a cute bee cartoon character for their logo design and they also colored it in the traditional yellow and black which are the traditional bee colors. 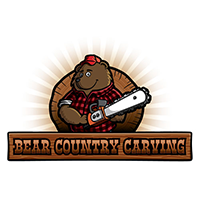 A cool bear logo depicting a company that carves awesome sculptures out of wood. Since a lot of these guys’ carvings are actually bears, they decided to go for this kind of animal character for their cartoon logo. 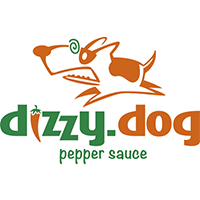 First of all, a quite interesting brand name for a pepper sauce: Dizzy Dog. Apparently, this sauce is so hot it could really make you dizzy but what’s even more interesting about this brand is the fun cartoon character design they used. 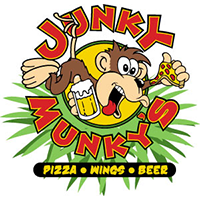 A perky monkey holding a piece of pizza and a glass of beer was the perfect choice of this brand to depict its business in a fun, attention-grabbing way. 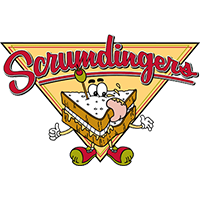 Their their cartoon logo speaks of a place where you can eat tasty food and have fun. 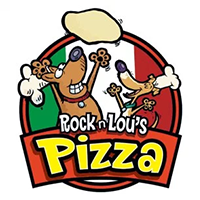 An eye-grabbing cartoon logo of a pizza truck which not only depicts who cheerful cartoon characters throwing dough in the air but it also uses the Italian flag as a background which undoubtedly evokes connotations of a super tasty pizza! 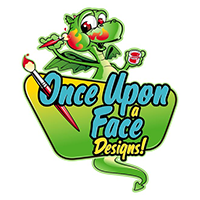 Once Upon a Face Designs have chosen a cute dragon cartoon character which people usually relate with fairytales which perfectly complements the brand name itself. Being depicted as an artist gives an idea of how creative the guys behind the brand really are! Here is a famous logo with a secret message inside its design. 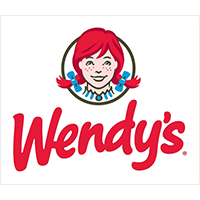 The Wendy’s cute wrinkled girl with pigtails was designed a collar forming the word “mom”. The creators of this widely known logo wanted it to evoke connotations of home-cooked meals. Clever, right? The living example that cartoons are not for children only! 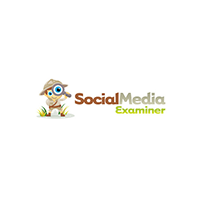 The Social Media Examiner’s logo incorporates a cute drawn boy discoverer with a magnifier that has become a symbol of professionalism and competence in the field of social media marketing. 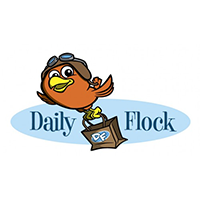 This adorable aviator bird is certainly quite an appealing addition to the logo of the Daily Flock website, giving the feeling that it can really quickly deliver the best shopping deals to you. 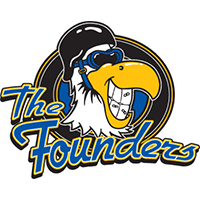 A humorous cartoon logo with a fun eagle. Being cleverly illustrated with bugs on his teeth and a helmet on his head, this widely smiling eagle actually represents a group of bikers. The “Uncle Speedo” company for car repairs went for a sweet colorful cartoon logo to attract visitors. The cute red car was also designed with a cap to appear even more perky. Going for a sweet rounded cartoon logo with a fun illustration on the inside was the strategy of The Dock Box and it worked. 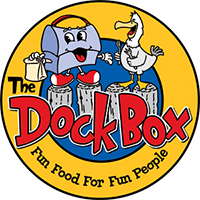 They illustrated a box character bringing food to a seagull which very pleasantly complements the slogan of the brand. 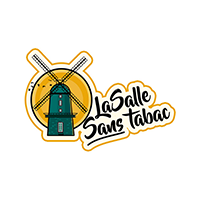 Not much of a cartoon character but such a nice windmill illustration with a flock of flying birds and the sun behind, conveying relaxation and pleasant memories, that we’ve decided to include it in our collection of cartoon logos. What a nice way to depict a pest control business! By using a cartoon character, of course. These guys cleverly combined the crossbones symbol with a mouse character in their cartoon logo. Certainly a better choice than a cockroach, right? 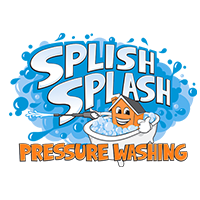 An extraordinary cartoon character, a house in a bathtub, was the choice of this cartoon logo’s designers. As explained by themselves, they wanted to make the logo fun and friendly, just like the company’s owners. Such a playful cartoon logo design of a website which is about discovering information online. 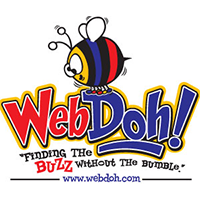 This brand went for a super cute and colorful bee character going hand by hand with the word “buzz” in the slogan. Nice! 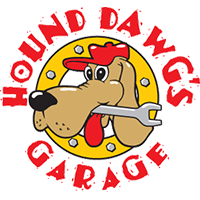 It’s almost impossible to have a Dog in your brand’s name and not use a dog illustration in your logo. These guys went for an outline simple illustration of a dog. Additionally, they designed their logo in the shape of a triangle pizza piece. 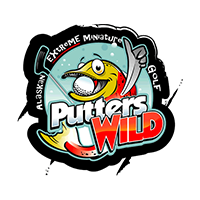 Well, how do you illustrate a miniature golf which is supposed to be wild and extreme? Apparently, by using a wild fish character with a golf ball in his mouth, a golf stick in his hand and giving a thumb up. Super unique, right? 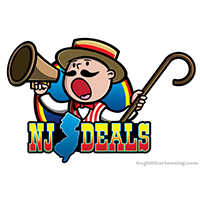 In their cartoon logo NJ Deals incorporated a character with a loudspeaker looking like an auctioneer. This profession is usually related with deals which is exactly why this type of character perfectly fits into this brand’s logo. 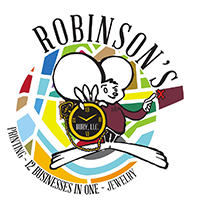 Here is an example of a stylish cartoon logo, the symbol of the jewelry store Robinson’s. 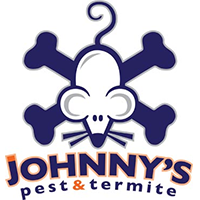 Their logo design includes a mouse character, holding a pocket watch, illustrated over a colorful round background. 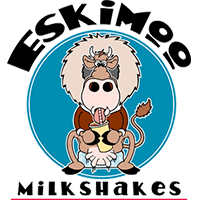 The brand “EskiMoo” has certainly gone wild with their choice of logo. They went for a fun and cool cow character sitting on an ice cube, wearing eskimo clothes and drinking a milkshake, of course! Here is an unconventional cartoon character but perfectly corresponding to the brand’s business. 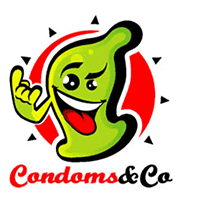 The creator of the cartoon logo gave this condom character a cool look by designing him with a tongue out and making sign of the horns. Well, like the name itself suggests, you couldn’t possibly go for another character than a dog, obviously. 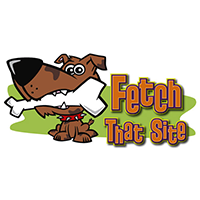 Fetch That Site used a cute dog character holding a bone in his mouth as a mascot, as well as complementing their logo. 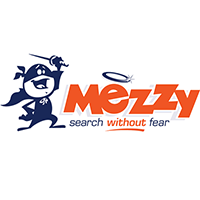 A perfect choice of a cartoon logo for a company whose slogan is “Search without fear”: a cute smiling pirate with a sword. Being a symbol of bravery this guy also has a cape making him look like a hero. 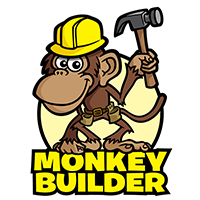 Quite literal expressing their brand name, this company made their cartoon logo with a cute monkey wear, a yellow safety helmet, a belt with tools, and a hammer in his hand. 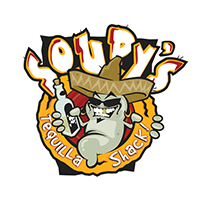 This bar went for a thematic tequila worm character holding a bottle of tequila and wearing a sombrero hat. This quite memorable cartoon logo represents their potential visitors, on the one hand, and depicts an alcoholic beverage, on the other. Not just a tire but a super fast and energized tire cartoon character personified with a cowboy hat, teeth and eyes. 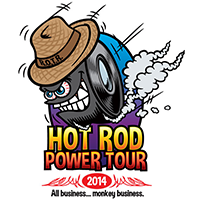 This cartoon logo was the perfect choice of Hot Rod Power Tour as it easily evokes connotations of adrenaline and fun experience. Not a real surprise that a fitness brand went for a very tough guy character in their cartoon logo. 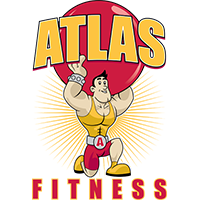 They even illustrated the muscular man holding a big atlas above his head, conveying that every visitor of this fitness has the opportunity to become super strong. 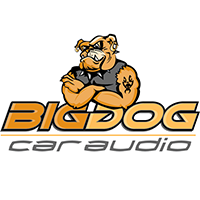 You could never go wrong with a cartoon character when the name of your brand contains an animal, just like this case: BigDog. 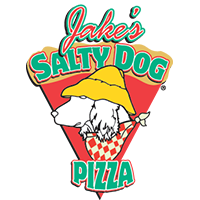 Well, evidently, these guys went for a tough-looking dog character with a tattoo which perfectly complements their logo. 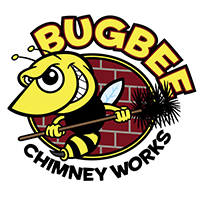 Being a symbol of diligence and indefatigability, Bugbee Chimney Works nailed it with their choice of a logo – a bee character, not to mention that the brand’s name itself contains the word “bee”. Good job! 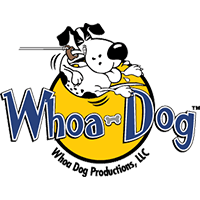 The idea behind the cartoon logo of Whoa Dog was to actually represent a dog being restrained. The designers eventually came up with an illustration depicting a dog reaching the end of his rope. Fun and unique! 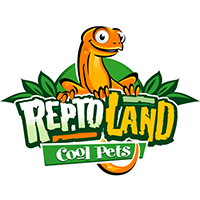 A cartoon logo depicting a pet shop for exotic animals: Repto Land. The logo not only depicts a cute lizard character but it also carries the visitor away to a distant exotic location. Amazing! The only frog character in this collection of cartoon logos. 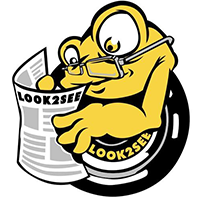 Look2see cleverly designed their frog with glasses looking at the newspaper, thus directing the viewer’s attention right to their content. Not the definition of cute but certainly an eye-grabbing character was the choice of Smokin Double D’s. 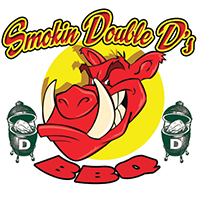 They went for a red wild boar character in their cartoon logo and nailed it. Not all cartoon logos are cute! This one illustrated a tough guy holding a cigar with his teeth, giving the feeling of being super tough and determined. This collection made you smile, didn’t it? No more arguments are necessary. If your logo manages to simply put a smile on your audience’s faces, this is how you know you’re on the right track to success!